Bold modern style, crown molding, and a beautiful centerpiece, this Della 42? electric fireplace white wooden mantel brings your living room to life with its bold unique look. 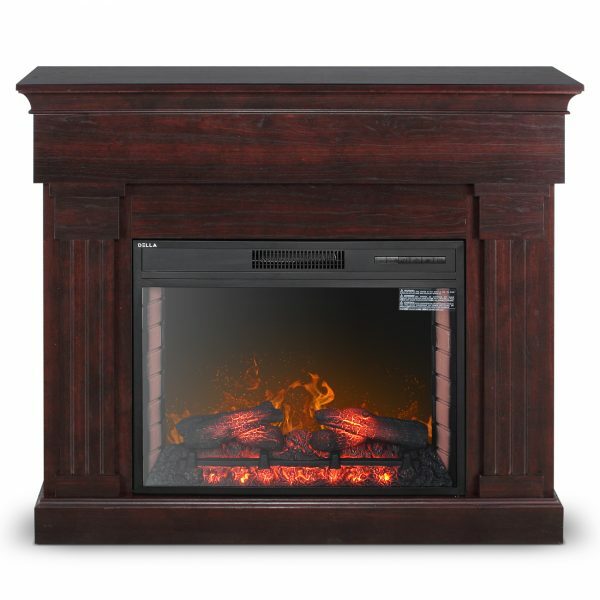 Turn on the electric fireplace and experience warm ambiance, which reaches 400sq.ft. View the beautiful red 3D flames as you sit and relax. The safety thermal cut-off is built-in to prevent overheating. This gives your unit a more secure experience.